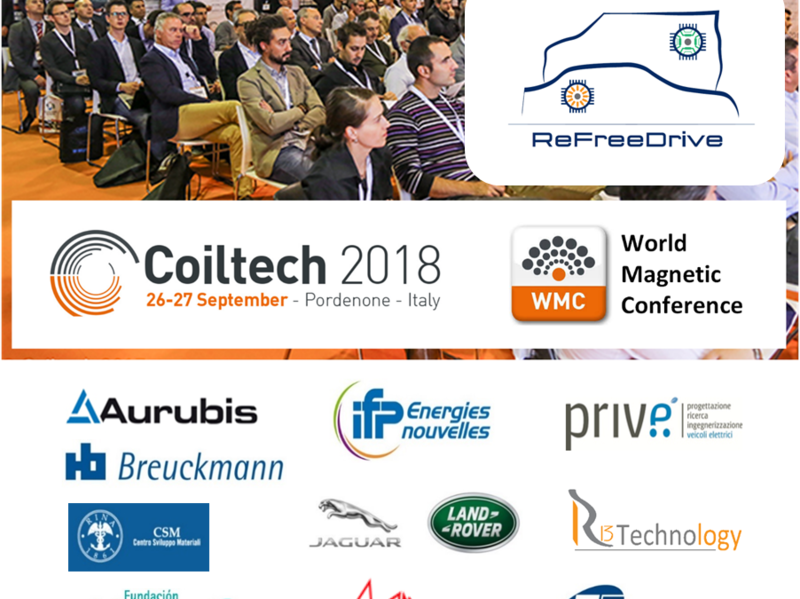 Next week ReFreeDrive project will hold a dissemination session within the World Magnetic Conference taking place within the Coiltech International Coil Winding Expo and Conference. The World Magnetic Conference is chaired by Prof. Marco Villani, from the Università de L’Aquila, one of ReFreeDrive partners. This conference is the biggest conference in its field. WMC offers both visitors and exhibitors an excellent opportunity to update one’s knowledge about innovation of materials, methods, and technologies for further improvement of efficiency in production, distribution, transformation and consumption of electrical energy.